Sunday 9 & 11 AM and 6:00 pm at Night 12-24-17. 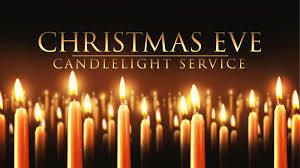 Christmas in Granbury Texas is special – Lights, music, and family – Come and complement your holiday with a wonderful addition by experiencing Abundant Life Church’s Candlelight Service. It’s for Everyone. When you decorate your Christmas tree, your ornaments often reflect your personality, your family, and the way you celebrate Christmas. Maybe you have jazzy wreaths made from popsicle sticks, maybe you have a family heirloom nativity scene, or a perfectly-matched ornament set with high-tech lights. This December 24 – Christmas Eve, people of all ages, life stages, and backgrounds will come together to experience Christmas at Abundant Life Community Church. It’s a fresh and new Church, and like those ornaments, you have been uniquely created, and you have a place in this celebration—a place among many new friends. Join us all December at your local campus for Christmas at Abundant Life Community Church. Come and get a lift this week! Christmas Eve is Saturday night 12-24-17 at 6:00. And you are invited to all our services this Christmas Season.